Virna Lichter is originally from Brazil and came to the U.S. to study at University of California, Berkeley. She has been working in the fitness industry since 1997 when she graduated college with a bachelor’s degree in Physical Education. She is a certified ACE Personal Trainer, Fitness Nutrition and Weight Management Specialist. She has experience as a fitness director in the corporate fitness industry; and has worked in several major corporations such as Verizon, TECO and AEG Transamerica developing wellness and fitness programs for employees. Virna has 30 years of martial arts training in several modalities such as traditional Japanese Karate, Muay Thai, Judo, Mixed Martial arts and is a black belt in Tae-Kwon-do. Virna has always been involved in fitness but it was through a personal training client that she was first introduced to yoga in 2009. She found that yoga and meditation brought balance to her body and mind and dove deep into the practices. After seeing the inner transformation that it was brought into herself, she wanted to share that knowledge with her clients. She started studying the practices under the guidance of masters and teachers such as Tara Stiles, Sadhguru and Deepak Chopra. Virna is also certified in Strala Yoga and Chopra’s Primordial Sound Meditation Teacher. 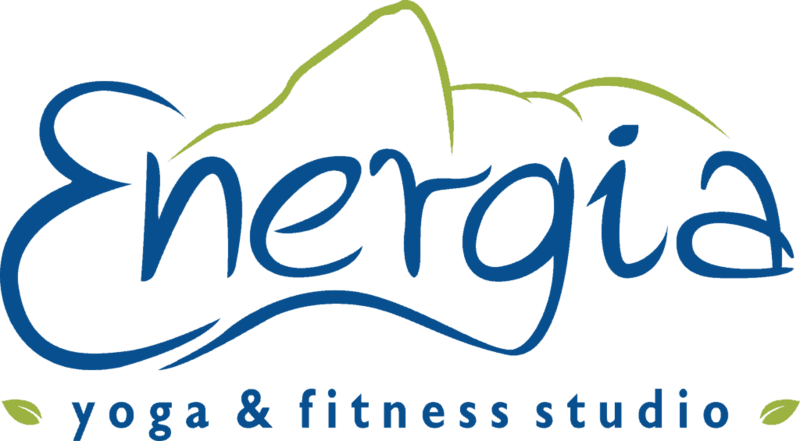 Energia is the fruit of Virna’s passion to help her clients achieve results and live fuller and happier lives. Lin is a certified and registered yoga instructor that has been teaching yoga since 1996. She has practiced yoga for over 40 years and her classes are primarily for people who would like to gain flexibility and create a healthy and stress-free life. Lin’s class is best for beginner/intermediate level and may be practiced by most students. Yoga practices include pranayama (breathing), asanas (yoga postures), and a reward of yoga nidra (deep relaxation). Lin has produced her own yoga DVD, and her passion for the discipline shines through in her instruction and personality. Verena is a Florida native originally from Clearwater, Florida. She has always had a love for the outdoors and nature. She began practicing yoga while practicing 5 years of physical Therapy Technician work at an Outpatient sports and Rehab Clinic. She immediately fell in love with not only the physical practice of yoga, but also the philosophy aspect. She decided to pursue the study of Hatha yoga. She finished her 200 hour certificate and is currently working on her 500 hour training. Her goal in teaching is to guide others to find their inner peace and happiness through the practice of yoga. She believes that yoga has the ability to transform all aspects of a persons life including mind, body, and spirit. Her classes focus on expanding the breath, core strength, and balancing muscle tone and flexibility through creative sequencing. Daniel Bianco has been leading yoga classes since 2011 sharing his teachings and helping people achieve small quality of life improvements in each class. Daniel is passionate about helping others help themselves. He believes that yoga is a form of self therapy for the mind, body and spirit, and that everyone can learn and benefit from it. It’s not the destination, it is the journey that counts. No matter which stage of life you are, Daniel is confident that he can guide you to the next step in your practice. He provides modifications tailored to your individual needs. Holly’s love for health and fitness is why she has joined the Energia Team! As a wife and mother of four (grandmother of one), she knows how important it is to take care of yourself. She has always enjoyed being able to workout and run with others, which is how she knew personal training was truly her passion. Being a personal trainer has given her the perfect avenue to share that passion and help others to grow in a healthier lifestyle. She has enjoyed working with the many challenges that come from all ages and fitness levels and looks forward to working with you. Yoga has always been a part of Hala’s life. After spending five years in India with her parents, many practices were brought back and practiced within the household. Hala’s yoga practice is rooted in personal experience and is anchored in principles of love, a holistic approach and service to others. These ideals allowed Hala to develop a yoga practice that is kind, focused on the individual, and comprehensive. Hala’s own personal experiences allowed her to approach yoga from a holistic lens; as she learned how to work with yoga in all its facets, including integrative nutrition to heal some of the challenges that she encountered in her life. Hala found huge comfort in being able to heal her body from a very aggressive form of psoriasis through a combined practice of Yoga, Ayurvedic nutrition and meditation. Hala is an 200 hr certified yoga instructor and a certified children’s yoga instructor. Her classes have found a following as she tries to connect with her students in the same way she connects to yoga… with love, kindness and mindfulness. She also holds a Bachelors degree in English Literature, a minor in Education and a teaching diploma. Natalia is a certified yoga instructor with a background in Holistic Life Coaching in metaphysical science. She loves to meditate and share guided meditation for everyone to enjoy. She loves to be in contact with nature as much as possible. She likes teaching all levels of yoga from beginners to advanced and from the young to the elderly, always with a passion to help others reach their goals. (Putting people into a relaxed mode is her thing.) She loves gems as a way to get more grounded and in touch with the spiritual outside. Living in gratitude with intention is one of her daily practices. Natalia loves to make people smile and she always looks at life from a more positive, relaxed and happy perspective. Natalia struggled with anxiety for many years and fell in love with yoga as soon as she felt the immense relief that this awesome practice brings to her. She has received lots of inspiration from her teachers who provided her with extensive training in several styles of yoga. With that knowledge Natalia can guide anyone on the mat. Natalia loves all types of yoga and she is the kind of teacher that will be there for you for any assistance. So if you want to feel relaxed, stress free, happy, energized, grateful, lighter or even just deepen your practice, book a class with her and you will find the magic and power within you, without forgetting she rock your senses in Spanish too. Jen started teaching classes in 2002 because of her love for group fitness. She began teaching group fitness classes but that led her to pilates which led her to yoga. She believes that cross training is very important, which is what drew her towards Energia! Her certifications include: 200 YTT, Pre-natal Yoga, Thai Yoga Massage, Reiki level I and II attuned, AFAA Group Fitness, RIPPED, Spinning. She is new to the Tampa area, from Northern Kentucky. and is excited to be a part of the Energia family. She can’t wait to bring her love of yoga, fitness and great music to her classes after all you’re only one workout away from a better mood! Marisa discovered yoga 17 years ago when she walked into a Bikram Yoga class. Finding the practice exhilarating, she continued to explore the depths and the realms of yoga. Within a few months of a regular practice, Marisa began to notice the pain in her back from multiple injuries had subsided. Her energy levels were soaring and her sleep became sound. There was a certain carefree demeanor she had adopted and soon thereafter became aware that yoga was essential to her well-being. Marisa has dedicated the last 17 years of her yoga practice searching out different styles, various studios, and researching all aspects of yoga. Marisa received her 200 RYT certification in Asheville, North Carolina at Asheville Yoga Center and is currently persuing her RYT-500. There, she truly fell in love with the practice of yoga and became determined to help others with their personal journeys to wellness. Whether you are ridden with pain or wracked with stress, whether you seek enlightenment or just want to get in shape, Marisa embraces the opportunity to help others discover their well-being through the comprehensive and infinite wisdom of yoga. Rikki is a Wife, and Mother of 2 who knows firsthand how important it is to take care of yourself; mind, body, and spirit. This Yogi started practicing Yoga in 2009, and as a former cheerleader she went into her first Yoga class primarily focused on the poses, and the workout itself, not knowing any better. However, after her first Savasana, she was hooked for life. Rikki is a former Special Educational Paraprofessional, turned Yoga Instructor that loves the effect Yoga has on the body and mind, leaving one feeling relaxed, focused, and centered. Rikki wants to spread that feeling of tranquility to others as a Yoga Practitioner. Rikki has her 200-hour RYT Certification and is working on her 500-hour RYT, focusing on Hatha Yoga. Practicing Yoga has taught Rikki mind over matter, the art of self-expression, and how to truly love her body. She wants to share that with others who take her Yoga Class. Rikki’s intention is inner peace, she wants to make a difference in the lives of others while spreading joy, peace, and tranquility. Robert Graham is a Certified Personal Trainer who graduated from National Personal Training Institute in Tampa, Florida. Robert was born and raised in Palm Beach County Florida. He came to the New Port Richey area four years ago on a job promotion working in sales, but he realized how much he missed the training environment because he coached and trained youth athletes for more than 20 years in the Palm Beach area in football, basketball and track. So, he became certified to be a personal trainer and now Robert is experienced in strength/muscle building, weight loss, HIIT and group training. His passion for training comes from his athletic background where he played college football at Cumberland College in Williamsburg, Kentucky. Robert has completed CE’s in Corrective Exercise, Functional Movement Screen, Partner Tubing – CEC Course. He realized his true passion is helping people achieve their fitness goals and being a positive motivator for the general healthy population. Robert loves what he does and from the smile on his face you will love the way he helps you become a new you.